Hi, I am the Yard Manager here at The Hugs Foundation. 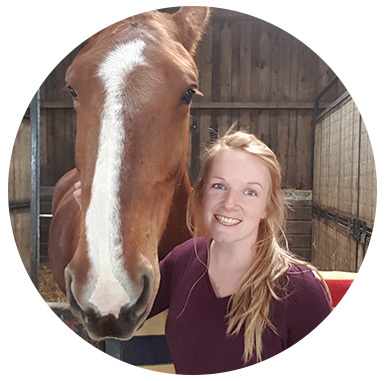 This role utilises my skills I have gained over the years working within the equine industry – U.K and abroad. I also have a degree in Animals Science, Behaviour and Welfare. I enjoy breaking down the horses reactions and ‘problems’ to really understand the why it is exhibiting different behaviours. The wild horses and ‘worriers’ are my favourite to work with – it is just facinating to see their transformation after a small amount of time here at Hugs. I have personally competed my own horses – favourite discipline being cross country. 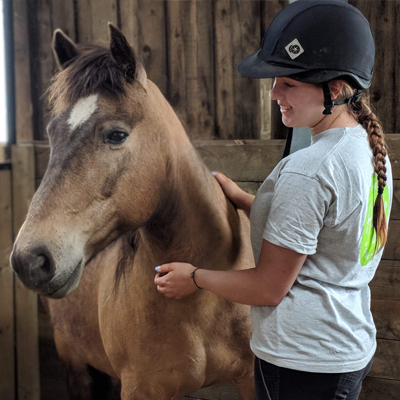 Hugs is amazing as not only do we help these abandoned and unwanted horses, we also open our doors to volunteers and work experience students. This ensure that we can help educate others about the difficulties horses in the U.K can face. Hello everyone, my name is Dawn Nicholas and I am delighted to become part of the team at The Hugs Foundation. During my times of employment, I have had many diverse roles. Before joining Hugs I was employed in the education sector as a lecturer for public services students. As well as studies in academia I had included in the curriculum many outdoor experiences to develop self-esteem and physical and mental strengths. Seeing students developed in a holistic way was extremely rewarding and I have been privileged to see many of my past students succeed in the armed forces, fire service, police etc. It is especially rewarding when some of those people have had to overcome personal health needs and other difficulties. 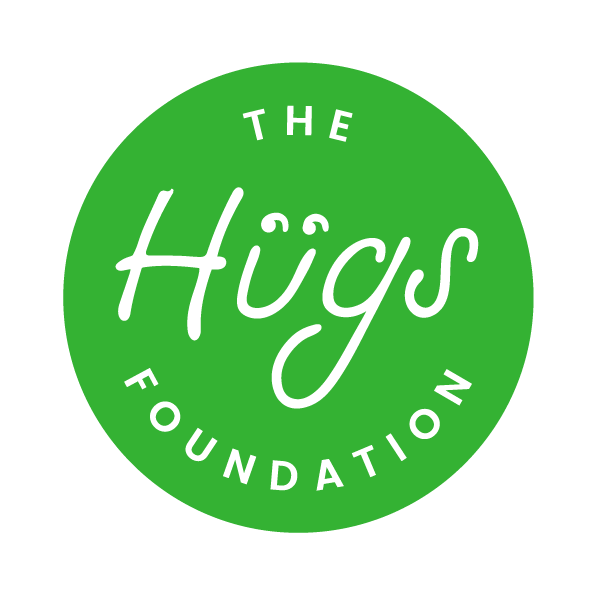 Here at The Hugs Foundation I will be working as a youth services manager, this holistic approach is ideal for building social skills, self-confidence and enable the opportunity to become full community citizens who can contribute to the communities future. I am one of the yard assistants here at The Hugs foundation. I have worked with horses before however this is the most exciting job role I have had within the industry. It’s a very rewarding job working within a charity that cares for horses and other animals. Its very warming watching each animal progress whilst they are in our care and going on to progress further with their new owners once they become rehomed. Working well with the rest of the team also means that the animals are in the best care whilst they are here. I am one of the Mental Health & Equine Intervention Support workers. I’ve just landed my dream job! What more could a girl ask for to be playing 😁 sorry I mean working with horses, ponies, children and young adults with Mental health. As a farmer’s daughter I have developed a great knowledge of nature, the environment, holistic and homeopathic remedies, and I love sharing my wisdom. I’m hard working, with a big heart, I can think on my feet and I’m really happy to be part of a amazing place. It’s so rewarding to rehabilitate the animals. It warms your heart to see the children’s faces when they are with all of our different animals. One last thing I’d like to add, being a farmers daughter, there’s nothing that can’t be fixed with a bit of baler twine! I am one of the yard assistants, this is my first time working for a charity like this and it is so rewarding watching the progress that each horse is gaining , it’s great fun and it’s lovely building relationships with all the horses and colleagues. 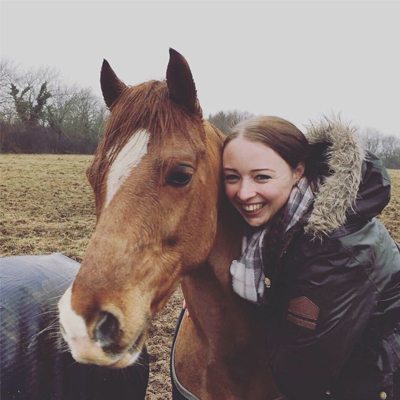 I am one of the mental health and equine intervention support workers here at HUGS. I have a degree in psychology and have previously worked in schools and the support work sector with children, young people and adults with special educational needs and disabilities. I am a firm believer that everybody should have an equal opportunity to live a fulfilled and happy life no matter what barriers they face, and what better way to do that than surrounding yourself with animals! I have been riding since I was very young and I spend all of my free time outside of work travelling the county competing and showing. There is no feeling quite like showing off your pride and joy in the show ring after months of hard work! 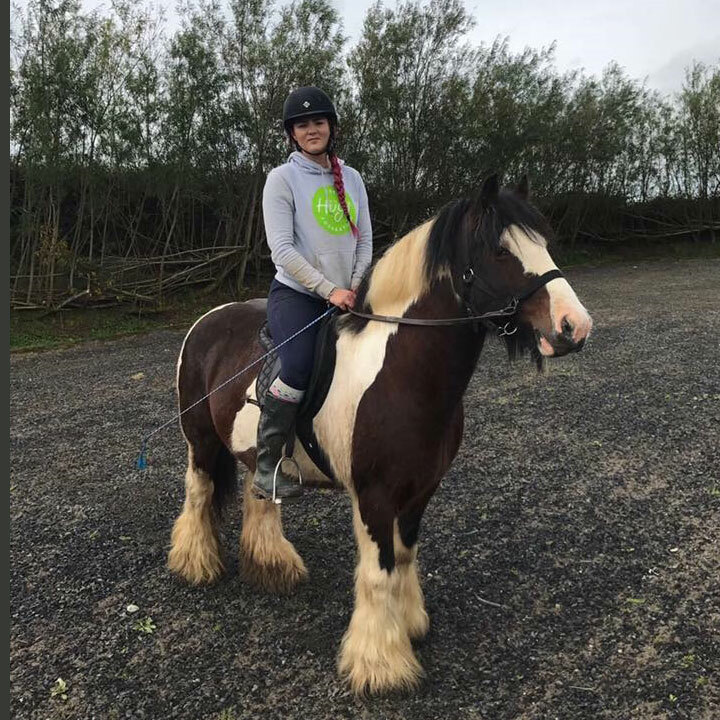 I feel very privileged to work with an incredible team and being able to incorporate the horses and other animals into our support programmes is amazing! Kindness. Dignity. Respect. Helping people & animals. 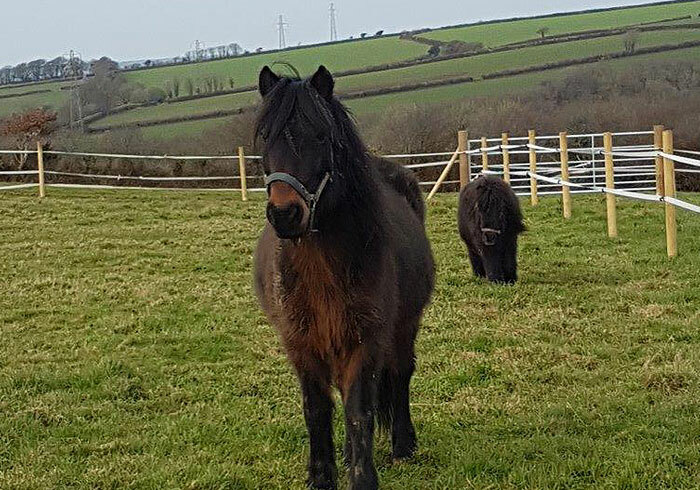 To provide a rescue and rehabilitation centre for horses, ponies and other animals that have been abandoned and or abused within the SW of England. To provide educational facilities for organisations within the Bodmin and surrounding area focusing on animal welfare. 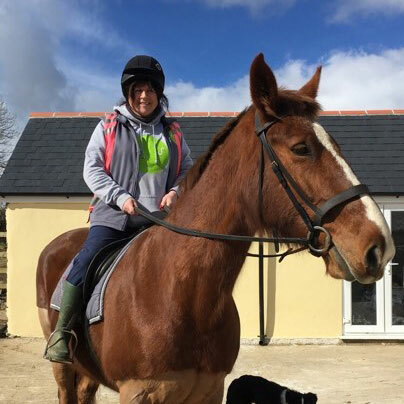 To provide facilities and animals for therapy sessions for organisations within the Bodmin and surrounding area focusing on those suffering from mental health problems plus the elderly whose circumstances prevent them from interacting with animals. The Hugs Foundation, was founded on a vision driven by respect, love and compassion for animals. 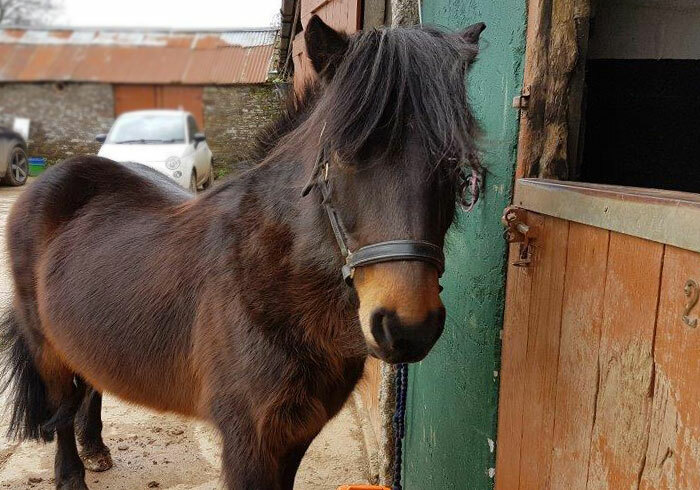 A vision to rehome and rehabilitate ponies and horses that had suffered mistreatment or that needed rescue. The experienced team understood, that in order to achieve success, lots of time, energy and funding would be required. Specialist services such as professional veterinary care and stable hands would be needed. So the vision began from day one with quality care and a realistic view of how Hugs could provide these animals the rehabilitation and care they needed. Ponies and horses were introduced slowly and with compassion. Animals from terrible mistreated backgrounds and harrowing stories of abuse soon found themselves in the loving, caring arms of the The Hugs Foundation. 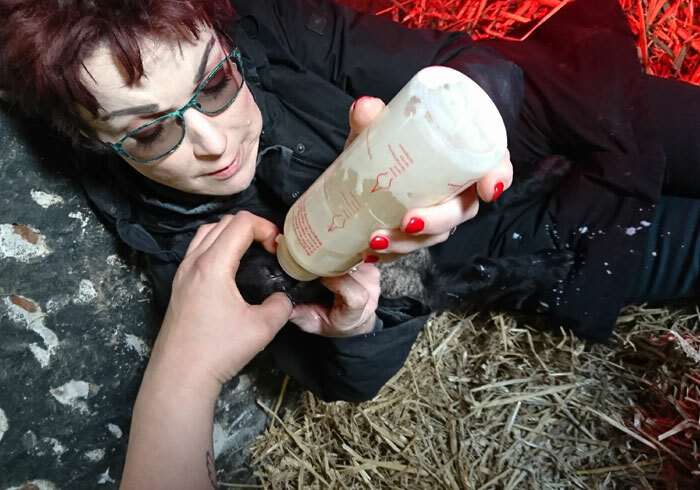 As the success stories of these animals being nursed back to full health and rehabilitation started to grow, the love for animals soon found the team taking on other animals from dogs to sheep! What a diverse and colourful mixture our Hugs family has become. The animals bringing such joy and happiness, it was through this concept a new vision was born. The love and positive journey could extend to people around us. The animals have therapeutic qualities. Anyone who spends time with animals will tell you how much of a positive influence they can have on ones life. The Hugs Foundations brought on board a team of mental health care professionals and therapists to extend their positive reach to people. Again, our culture and belief at The Hugs Foundation is to recognise a need and ensure we provide professional expertise to deliver that service. 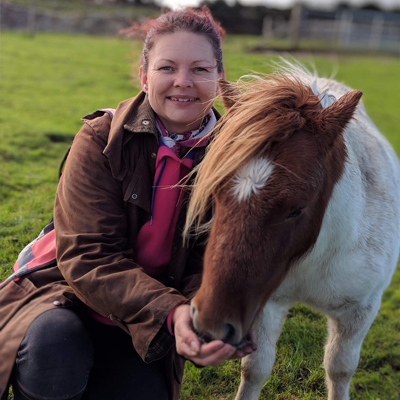 Combining the rehabilitation of the animals with their qualities they can bring to people suffering with mental health issues such as depression, PTSD, low confidence and low self esteem meaning our hugs reach so much further. Working in many different ways with 1-2-1 sessions, group therapy, schools and the local community, we can not only change the lives of the animals but also change the lives of people. With your help The Hugs Foundation can reach its goal to continue to grow and touch the lives of many. Bringing positive change to the local community in Bodmin and grow to a full centre of rehabilitation. Please let us know how The Hugs Foundation can help you. As soon as I heard about the awesome impact The Hugs Foundation were making I wanted to be involved. I too am passionate about animal welfare and think its great that the rescue animals also have such positive effects, working with people suffering with poor mental health. Keep up the great work! The fantastic team at the Hugs Foundation do an excellent job caring and rescuing horses and ponies. 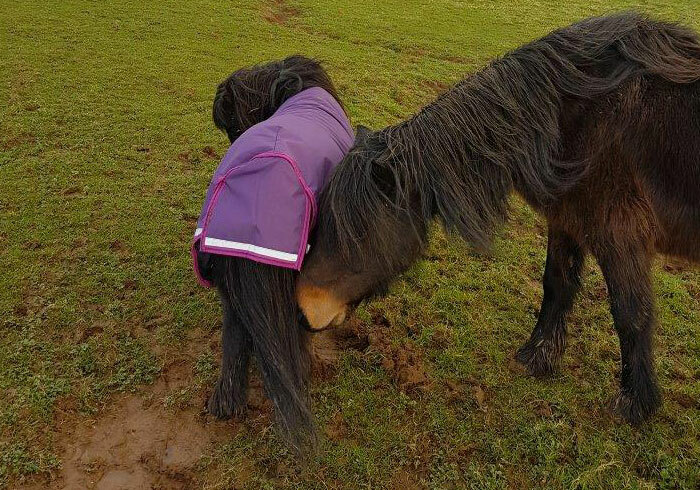 Its a great inspiration to see the impact they have not only to the lives of the animals but to see the huge and positive benefits the rehabilitated animals have to young people in the community as well as sufferers of mental health issues. With your help The Hugs Foundation can reach its goal to continue to grow and touch the lives of many.